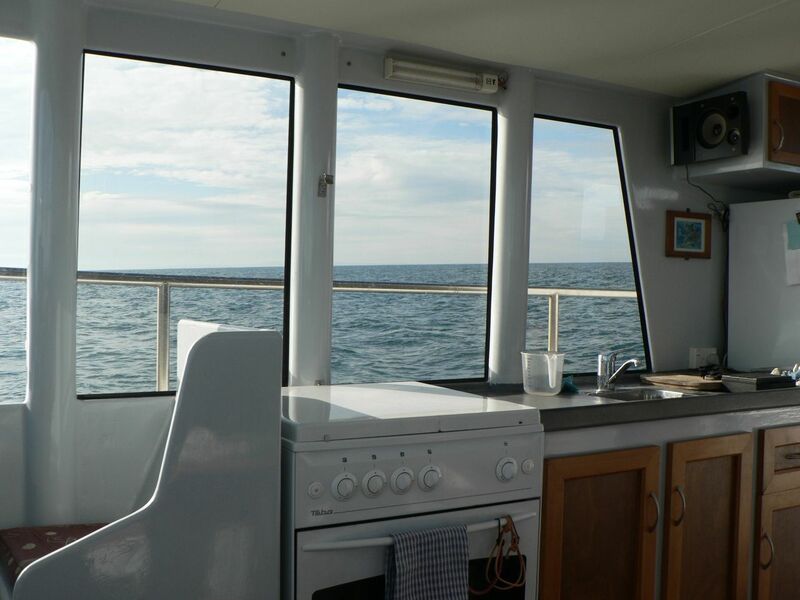 Visitors on board are always surprised to find all the main conveniences of a home readily available: good size cooking range, oven, refrigerator, freezer, warm shower, heating, an owner’s cabin with double bed, three single bunks… It is a small home on the water with fabulous sea views. The elevation retained for the windows makes for superb visibility all around the boat from the main living area of the cabin, including from a seated position. 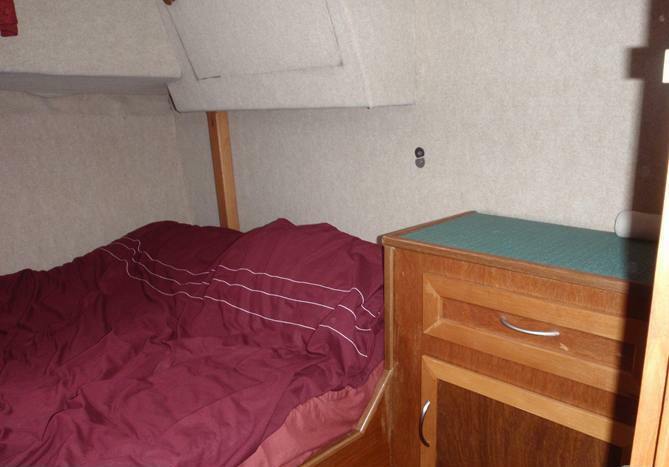 A cut-out in the dash on the port side and two steps lead to the forepeak, subdivided between an owner’s cabin with a double bed, bunks and storage. 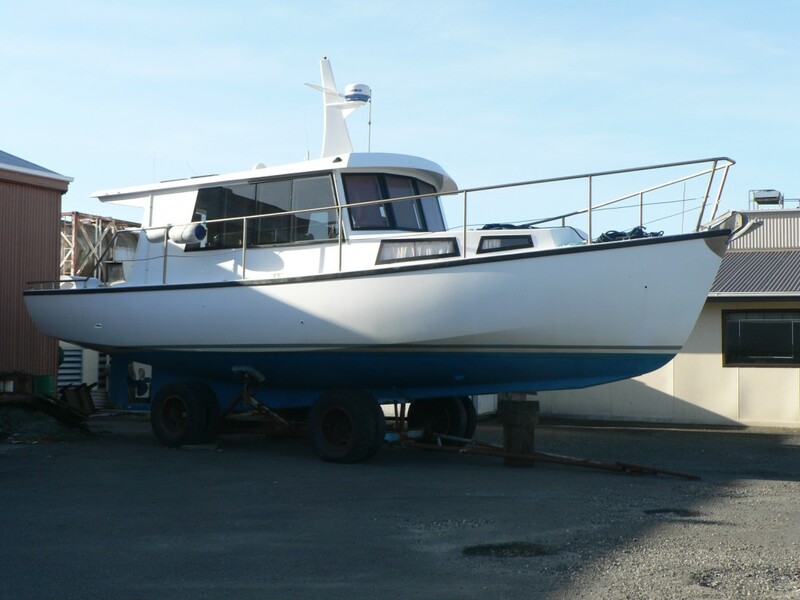 The afterdeck is wide, uncluttered and well enclosed. 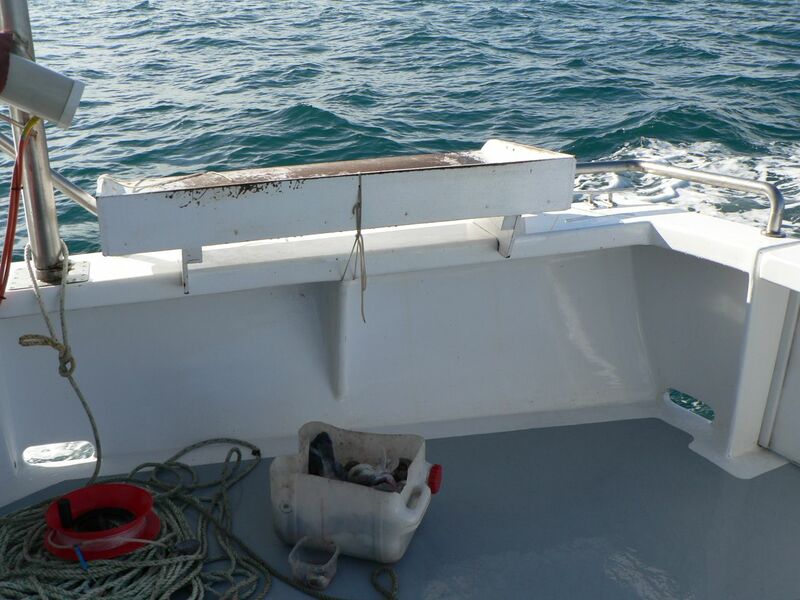 It is a good platform for fishing or relaxing with some shelter underneath the roof overhang and a very safe place with small children on board. The bulwarks offer good support for working over the sides. 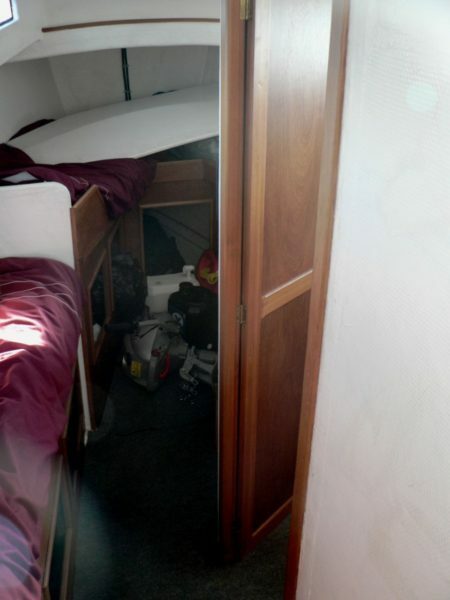 The door on the port side of the cabin gives access to a toilet and shower as well as space for storing foul weather gear. A gate in the transom provides walk-through access from floating pontoons, dinghies and easy access to the water for diving. 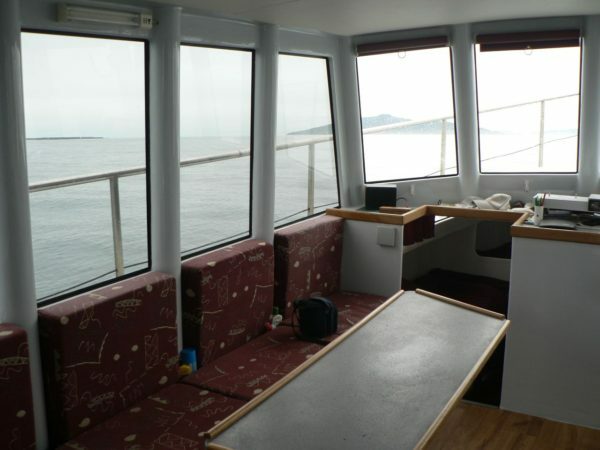 The side decks are surrounded by sturdy stainless steel railing all the way to the bow. An electric windlass assists with all anchoring tasks on the foredeck. 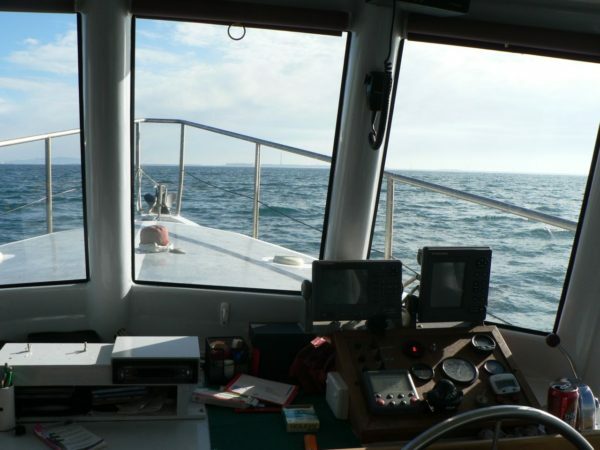 Other than for anchoring or docking, there are no reasons whatsoever for leaving the cabin and afterdeck areas. 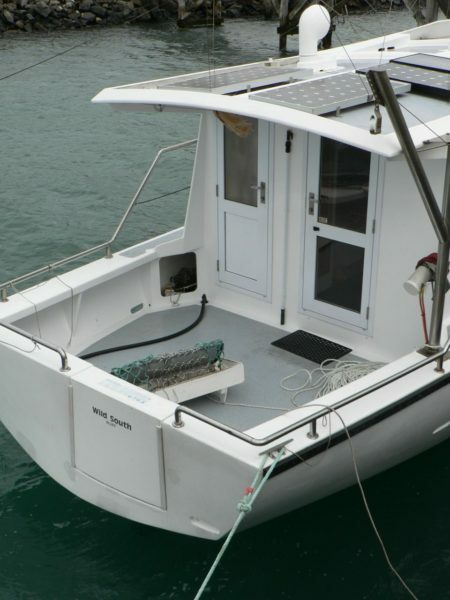 The roof offers a perfectly protected area out of the way for a substantial solar array that can offset a lot of the energy needs while living aboard. An inverter provides AC power and a very small diesel power plant driving a 12VDC alternator can charge the batteries as well as power the inverter at the anchor without running the main engine during periods when solar energy is not sufficient. 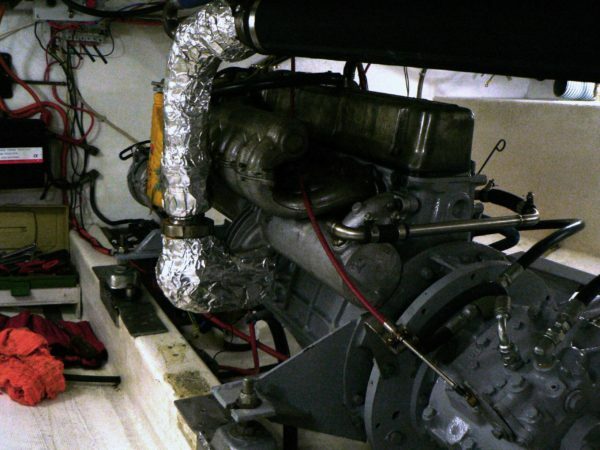 Main engine, generator, inverter, batteries and tanks are all located underneath the cabin floor. Access is gained from the main cabin. Height is very acceptable and there is a lot of space available to move all around the engine. All maintenance tasks are easily performed. If needed, a removable panel in the cabin floor allows lifting the engine out. The keel design was specifically intended to facilitate handling on ramps, slipways and even trailers. Dried up with the tide on a boat launching ramp. 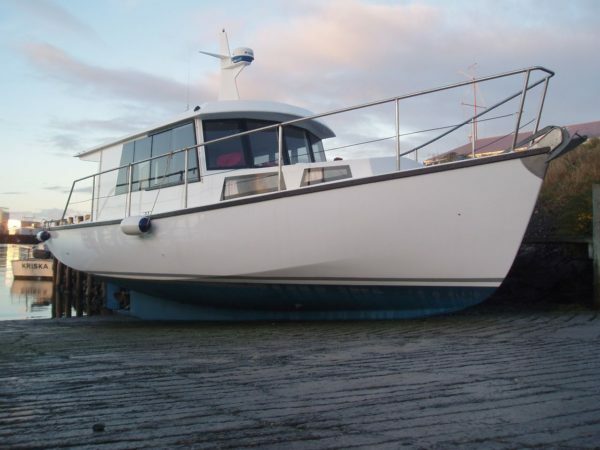 Read more about the hull design, stability and seaworthiness.